The EB-5 Visa, also known as the Immigrant Investor Visa or the Investor Visa, allows a foreign national to obtain a Green Card if they invest money in the United States. It’s a little complicated, but here’s the basic overview: The EB-5 Visa program allows you to get U.S. Permanent Resident Status (a “Green Card”) if you meet two requirements: 1) you invest one million U.S. dollars in a U.S. business and 2) make 10 jobs for U.S. workers. The requirement to invest one million dollars is reduced to half a million dollars if you decide to invest in a rural area or an area experiencing high unemployment. The annual limit for EB-5 is approximately 10,000 visas (7.1% of the total 140,000 employment-based immigrant visas.) United States Citizenship and Immigration Services (USCIS) administers the the EB-5 Visa program which was created by Congress to help stimulate the United States economy through job creation and investment by foreign investors to fund businesses and projects. The program first began in 1992 and has been regularly reauthorized by Congress since then. While, the EB-5 Visa has bi-partisan support in Congress and also the support of U.S. billionaires like Warren Buffett, Bill Gates and Sheldon Adelson. An upcoming bill in the U.S. Senate which would reauthorize the program also includes provisions to raise the minimum investment amounts from $500,000 to $800,000 for investments rural and high unemployment areas, and from $1 million to $1.2 million for all other areas. Since the EB-5 program began more than 30,000 people have received visas, foreigners have invested more than $7 billion and 52,000 American jobs have been created. According to government statistics Chinese nationals comprised 90% of all EB-5 visas issued in 2014, which amounts to about 8,300 EB-5 Visas. 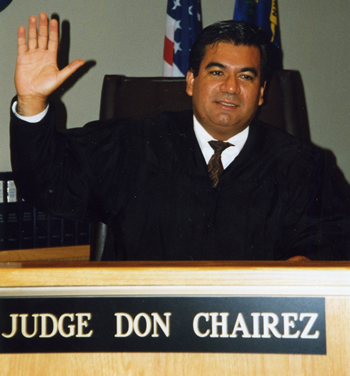 Former Judge Don Chairez has over 30 years of experience in Immigration Law. Please note: This article is merely a short summary of the process. The EB-5 Visa program is very complicated. It is highly recommended that before proceeding with any investment that you consult with a highly experienced Immigration Lawyer such as Don Chairez by calling him at 888-627-9996, or e-mailing him using his contact form found on this website. Don Chairez has over 30 years of experience in the field of Immigration Law. Regular EB-5 Program – The first way is through the regular EB-5 program, which entails submitting a form and evidence, including a comprehensive business plan, to USCIS for one of your investment ideas. Your submission must prove to the U.S. Government that you meet all the requirements of getting en EB-5 Visa. Regional Center Investment Method – The second way is through the “Pilot Program” also known as Immigrant Investor Regional Centers. Regional Centers are business ideas that have been reviewed and accepted by the USCIS. As of Oct. 5, 2015, USCIS approved 745 regional centers. An investor who invests in a Regional Center usually has an easier time obtaining a Visa because a Regional Center has already gone through the trouble of proving to the U.S. Government that it meets most of the requirements of the EB-5 Visa Program. The regular EB-5 program and the Pilot Program (Regional Center method) have similar requirements to begin the process. The difference between the two is that the regular program requires the petitioner to submit all of the evidence, whereas investment through a Regional Center requires that the designated Regional Center to certify that the investor has met its criteria. Both programs require the investor to file for EB-5 classification using Form I-526. This form has to be signed by the investor and no one else. For existing businesses proof must be submitted that the required amount of funds was transferred to the business after November 29, 1990, and further, that the investment has increased the net worth or number of employees by 40% or more. Certified Copies of all pending governmental civil or criminal actions and legal proceedings, or any civil actions involving money judgements against the investor within the past 15 years. Qualifying Employees – Copies of pertinent tax records, Form I-9, or similar documentation for 10 qualifying employees. The Business Plan – The petitioner must submit a comprehensive business plan proving a need for at least 10 qualifying employees, and the time table of when the employees will be hired. The business plan must include a description of the new business, the goals of the business, a market analysis which includes the names of competing businesses and their relative strengths and weaknesses, a side-by-side comparison of the competitor’s products and pricing, an analysis of the target market, an analysis of the customer base of the business, a detailed description of the manufacturing and production processes which will be used by the business, list of suppliers, overview of any contracts executed, pricing and marketing plan, advertising agenda, organizational structure, business financial projections, and the company’s personnel experience, staffing requirements, job descriptions for all positions and a hiring schedule. Troubled Business – To demonstrate that a new business funded through foreign investment meets the program requirements the petitioner must prove that the number of currently existing employees will stay the same compared to the previous two years prior to investment. The petitioner must include copies of the I-9 forms, tax records, payroll documentation, and a comprehensive business plan. Proof that the investor is involved in management affairs or policy-making activities of a general or limited partnership. A limited partner must show he or she has rights and powers equivalent to those rights and powers normally given under the Uniform Limited Partnership Act. The investor must submit letters from local government officials, chambers of commerce, or development agencies indicating the new business benefits the community and the U.S. economy as a whole. High Unemployment Areas – proof that the metropolitan statistical area, or the county where in which the city with a population of over 20,000 is located, in which the new business is doing business has undergone a period of high unemployment (150 percent above the national average rate), or a letter from the state where the new business is located which certifies the area has been designated a high unemployment area. An EB-5 Regional Center is an organization designated by USCIS that sponsors capital investment projects for investment by EB-5 investors. A “regional center,” defined by the law as “any economic unit, private or public, which is involved with the promotion of economic growth, including increased export sales, improved regional productivity, job creation, or increased domestic capital investment.” In practical terms, the difference between a Regular EB-5 Visa petition and a Regional Center petition, is that a Regional Center is a vehicle that permits indirect job counts for projects within its geographical boundary. The biggest advantage is probably the fact that an “approved” Regional Center has already been reviewed and approved by the Government, and confirmed with the Government that for each investor 10 direct or indirect jobs will be created. The regular EB-5 method requires direct investment in a business which creates 10 full time jobs, which are actual identifiable jobs for qualified employees employed by the new business which the EB-5 investor has directly invested his or her capital. Usually, because of the way most Regional Centers are set up, immigrant investors in a new business affiliated with the Regional Center do not need to be involved in the day-to-day management of the business. Instead, the investor only needs to be involved in policy formation. This allows investors in a Regional Center to live anywhere in the U.S.
A regional center seeking USCIS certification must furnish a proposal demonstrating the center’s plans to focus on a region within the the U.S. and to accomplish the necessary growth by the methods outlined. In plain English…a very, very, very complicated, detailed, and comprehensive business plan that takes a long time to get approved. The business plain has to show “in verifiable detail how jobs will be created indirectly through increased exports,” including the number and origin of funds committed and the advertising efforts made and planned. As of Oct. 5, 2015, USCIS has approved 745 regional centers, but many of these regional centers are ideas on paper only, and not functioning business enterprises. Also, it’s important to note that just because USCIS has approved a particular Regional Center, that doesn’t necessarily mean the investment is any more or less risky than a Regular EB-5 Investment. An investor seeking an EB-5 Visa under the Pilot Program has to invest the necessary amount within an approved Regional Center, but remember, the requirement of making 10 new jobs under this category is less restrictive. Under the Regional Center method the investor only needs to show that the 10 new jobs will be created directly OR indirectly. It’s interesting to note that any particular Regional Center’s business plan usually always includes a persuasive argument from an Economist demonstrating the number of indirect jobs which will be created by the new business. To submit Form I-526 under the Regional Center method the investor attaches a copy of the USCIS letter which approved the Regional Center. The investor’s new business must be affiliated with the Regional Center. If the new business is involved directly or indirectly in loaning funds to job-creating businesses, it may only loan money to businesses in targeted employment areas to take advantage of the smaller $500,000 requirement. The organizations receiving the loans must be in the geographic limits of the Regional Center if the new business is to meet the requirements of the Pilot Program. The common trend these days is for a Regional Center to either use what’s called a Fund Model or a Loan Model. The Regional Center sets up an investment fund for the benefit of the EB-5 investors. Investors purchase equity stakes in the investment fund. Then, the fund either purchases equity in the job creating business (equity model) or loans the job creating business funds (loan model). The job creating business then uses the investment from the fund in the project to create jobs. USCIS maintains a list of approved (but not necessarily endorsed or guaranteed) EB-5 Regional Centers by state. EB-5 Funding has helped rebuild the Las Vegas economy. Las Vegas has seen a recent boom in using regional centers and EB-5 funding to build new casino projects. In 2013 the first EB-5 project the Downtown Grand was built followed by SLS formerly the Sahara Hotel. Additional New Casino Projects obtaining EB-5 funding on the Las Vegas strip include Lucky Dragon, Dynasty Hotel Casino, Clarion Hotel, and World Resorts. Foreign investors are also being solicited to invest in Las Vegas’ SLS Hotel & Casino. Major U.S. developers have begun to form their own regional centers with the goal of soliciting EB-5 investments. Silverstein Properties, for example, has marketed their Downtown Manhattan The Four Seasons Restaurant as an “EB-5 investment opportunity” on their website. Other projects that have received EB-5 Regional Center funding include the Hudson Yards Redevelopment Project, the George Washington Bridge Bus Terminal, and the New York Wheel. Summary of the Timeline: If an investor’s petition is approved the investor would then apply for a Visa. Upon approval of an Adjustment of Status the investor becomes a Conditional Resident and obtains a Provisional Green Card. The Provisional Green Card is valid for 24 months and at the end of that time the investor must file Form I-829 to obtain a Permanent Green Card. Ordinarily, the funds have to be invested in the U.S. for at least 5 to 6 years to allow the entire immigration process to finish. The preparation of the I-526 petition takes several months. Once the I-526 petition is filed the USCIS may take 12 months to approve the I-526 petition. Once the I-526 petition is approved the investor will then apply for the conditional permanent residency visa through the U.S. Consulate. This U.S. Consulate process usually takes several months and the investor will obtain a conditional permanent residency visa for a two year period. Before the end of the two year conditional permanent residency period, the investor must file the I-829 petition with the USCIS to acquire approval to remove the conditions. This process of adjudication may take about 12 months. At the end of the process, the investor will have unconditional permanent residency. The entire process usually takes around 4 years. It is generally a good idea for the new businesses or projects to wait until all I-829 petitions are approved for all of the involved immigrant investors before there is any exit from the project by any of the investors. USCIS likes to make sure the funds from the various investors are being used as intended before any exit of funds out of the new business. It’s because of these practical difficulties that most exits for most EB-5 Visa projects are around 5 to 6 years. Note: The investor must maintain the investment through the conditional residence period, which does not end until 829 approval. 829 processing times are about a year. That brings us to 4.5 years from the time of 526 approval. The 5 year investment term (which cannot be guaranteed) is based, in large part, on an estimate of when all investors in a project should reasonably be done with the 829 process. EB-5 Status – Can it be Terminated? The law gives 3 different grounds for terminating an investor’s EB-5 status during the conditional two-year period. The investment in the new business was intended to evade the immigration laws of the U.S. The investor was otherwise not conforming to the requirements of the job-creation provisions of INA 203(b)5). This “catch-all” provision is risky because it does not actually provide a definition of the type of conduct which could result in termination of status. It is possible that USCIS could apply this provision in a broad way to terminate the status of an investor for any particular infraction of the section. To the best knowledge of the author of this article, as of October, 29th 2015 USCIS has never invoked this provision to terminate the status of an immigrant investor. Qualifying an investor for EB-5 status is one of the most complicated subcategories of Immigration Law. The lawyer handling this type of service most have a thorough understanding of Corporate, Tax, Investment, and Immigration Law. Therefore, it’s important that you reach out to attorneys like Don Chairez. Don Chairez has over 30 years of experience in Immigration Law. Please call him today at 888-627-9996 or e-mail him using his contact form. The EB-5 Adjudications Policy Memorandum is the document which guides USCIS’s administration of the EB-5 program. The document is built upon prior policy guidance for adjudicating EB-5 and is binding on, and applicable to, all USCIS employees. Do you need to hire an attorney? You may e-mail attorney Don Chairez privately, or call him directly at (888) 627-9996 to schedule your private consultation. Phone: (888) 627-9996 | One World Trade Center, Suite 800, Long Beach, CA 90831 | Copyright © 2012-2016 Don Chairez. All rights reserved.